Last week, eEndorsements was proud to support Junior Achievement, an organization that is essential to community development and education in the Dallas – Fort Worth Area. 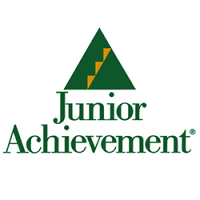 Founded nationwide in 1919 and established in Dallas in 1954, Junior Achievement fosters entrepreneurship, work-readiness, and financial literacy skills for K-12 students through the efforts of more than 4,200 volunteers each year. “With blended curriculum and digital components, Junior Achievement continues to help students see the relevance and importance of education in their lives. These volunteers deliver the JA curriculum and talk about their work and life experiences. Partnering with school teachers, volunteers provide the third-party validation that makes education relevant. As luck would have it, eEndorsements had the perfect opportunity to collaborate with Junior Achievement last weekend. Evan Kugle, son of eEndorsements CEO Eric Kugle, competed at the US Kids World Golf Championship in North Carolina over the weekend. To celebrate his accomplishment, eEndorsements donated $5 to Junior Achievement for every birdie Evan scored during the 54-hole match. We’ll also be donating the same amount for every birdie Evan scores in upcoming tournaments, as well as giving our time by participating in classroom programs organized by Junior Achievement. For the eEndorsements team, connecting with the local community through philanthropy is a way to give back while building client relationships, as charitable work is one of the primary means for developing a powerful network of contacts. To join this important effort, or to learn more about Junior Achievement Dallas, please visit the JA website. Volunteer with JA, and share your valuable experience and guidance to grades K-12. It’s a very rewarding experience you will enjoy and be glad you did.